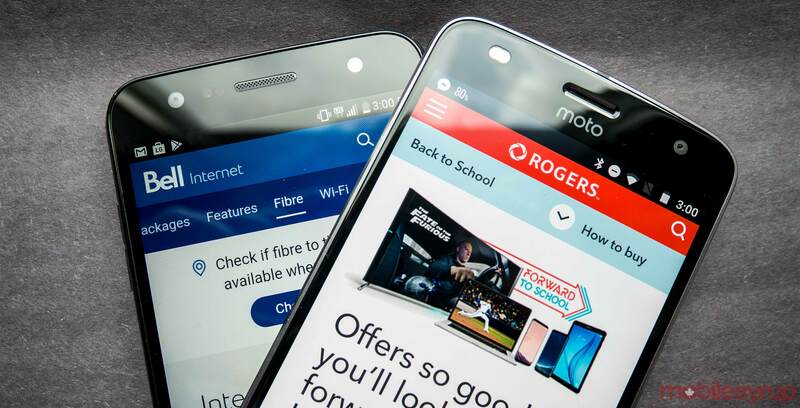 Two of Canada’s largest carriers are getting ready to serve customers with significant internet price hikes. As MobileSyrup previously reported, both Rogers and Bell are increasing internet prices, with Rogers’ price hike arriving this Monday, March 12th and Bell’s coming on April 1st. Telus, meanwhile, doesn’t seem to be planning a similar price increase, but has recently discontinued its bundle discounts, which provided a monthly discount of $3 per service. In explanation, all three major Canadian telecoms separately reported that the price increases support their respective infrastructure investments. As a reminder, here are the details of the price increases, as well as some important dates. As of April 1st, 2018, Bell’s Ontario and Quebec internet customers will see the following price increases. Long Distance International Plus package +$1/mo. For more on Bell’s increase, find the full story here. As of March 12th, 2018, all of Rogers’ in-market legacy internet packages with download speeds of more than 20Mbps are increasing by $8 per month, while those with speeds of 20 Mbps or less are increasing by $4 per month. For more on Rogers’ increases, find the full story here. Telus hasn’t announced any plans for large-scale internet increases this spring, though it has recently discontinued bundle discounts, thus slightly increasing the price of internet for some customers. The discount was scrapped as of January 21st. While it existed, it provided a $3 discount per service in the bundle. Find more details about that change on its website here. Are you affected by the price increases? Let us know in the comments.